Writing Across Technology (WAT) is a component of the FYW program designed to teach rhetorical composition practices with a diverse range of technologies and communicative modes. Multimodal composition engages more than one of the “five modes through which meaning is made: linguistic, aural, visual, gestural, and spatial” (Ball & Charlton, 2015, p. 42). We live in a world where it is increasingly common to encounter and produce writing that is multimodal and mediated by diverse technologies. It is important for teachers of writing to help students strategize and think critically about the synergy that is created when they compose through multiple modes as well as the technologies they use to compose. Technology need not mean digital necessarily. All writing, even alphabetic writing with a pencil and paper, is still a technology, one that has diverse applications and relies on multiple modes. Writing Across Technology invites students and instructors to consider the rhetorical implications of composing with a variety of other technologies as well: video, audio recording, photographs, body language, captioning, hypertext, interactive interfaces, graphics, etc. Multimodal composition technologies have always affected the ways we write, the way we read, and the way we access texts. It is important for students to become aware of these changes through the practice of composing. See FYW Co-Director Lisa Blansett’s multimodal overview of the program by clicking the image above. The curriculum redesign is under pilot from spring 2019 through spring 2020, and it is being researched in a study coordinated with UConn's Center for Excellence in Teaching and Learning (CETL). 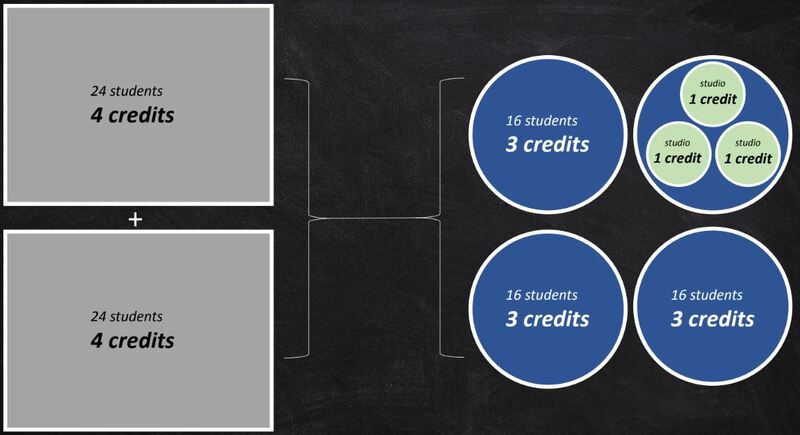 What is currently a 4-credit first-year writing course with 24 students enrolled in each section will become a 3-credit course with a 1-credit studio lab. The full change in the course will begin in fall 2020. Phase 1: Planning. In Summer 2016, the first UConn grad student (Ruth Book) attended the Digital Media and Composition Institute at OSU. In Spring 2017, funding is acquired for a second DMAC group; Brainstorming for WAT begins; and the first signs of a possible rescission appear on the horizon. In Summer 2017, Kathryn Warrender, Gabe Morrison, and Lisa Blansett attend DMAC; WAT curriculum planning begins; planning for writing studio space begins; this webpage launches; and conversations with Adobe and UConn’s CIO take place. Phase 2: Early Implementation and Piloting. In Fall 2017, FYW has a full-day WAT workshop for instructors and begins holding regular WAT workshops throughout the year; the Council of Writing Program Administrators conduct an external review; rescission discussions begin; FYW directors join GEOC; FYW has conversations with EGSA; and FYW receives a CETL large course redesign grant. In Winter 2018, regular instructional design meetings begin with CETL; Storrs FYW directors meet with regional writing program administrators; Storrs FYW directors meet with ECE coordinators; and GEOC awards FYW funds for an assessment of English 1003 and 1004. In Spring 2018, FYW receives Steelcase Education grant to build an Active Learning Center; 4 focus groups are run by CETL to gather feedback from FYW instructors and English department; FYW has conversations with Clemson and UNC-Chapel Hill; GEOC awards FYW funds for WAT initiative enhancement; Lisa Blansett joins the GEOC subcommittee on Information Literacy; and FYW’s directors present about WAT at the end-of-year department meeting. In Summer 2018, 4 more UConn affiliates attend DMAC (Reme Bohlin, Becca Rowe, Aaron Proudfoot, and Scott Campbell); FYW staff and CETL write an IRB for pilot research; and FYW teams draft and publish course moves. In Fall 2018, pre-pilot begins in the Active Learning Center with new graduate TAs; Lisa Blansett joins the W course subcommittee; and FYW directors join provost’s new Teaching and Active Learning Committee. In Spring 2019, research pilot for CETL begins. 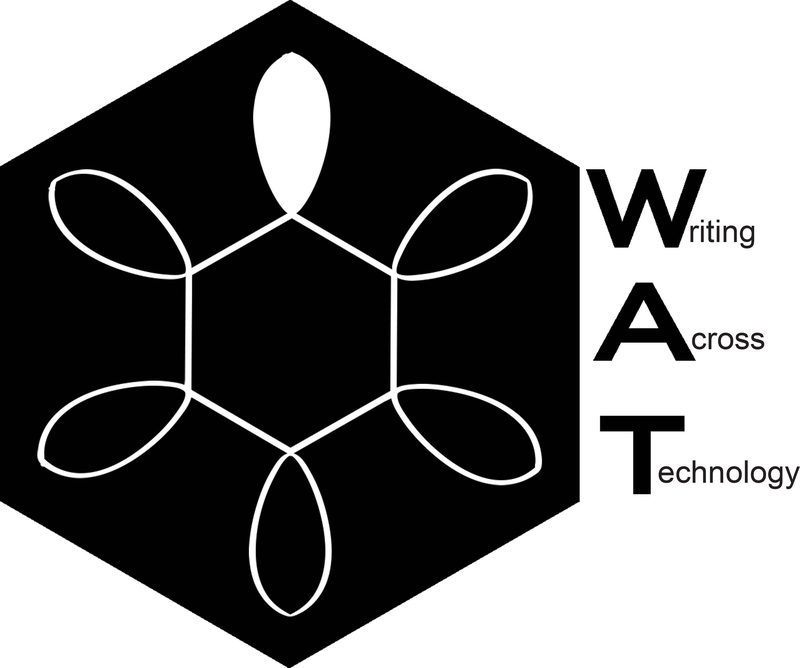 In Summer 2019, FYW teams host a possible WAT Institute. In Fall 2019, FYW begins a Curricula Action Request for the pilot of redesigned FYW course. In Spring 2020, FYW repilots the course. Phase 3: Full rollout. In Summer 2020, full WAT Institute launches. In Fall 2020, the new curriculum runs full-scale. In Spring 2021, FYW conducts and assessment of the new curriculum. FYW has had the following stakeholders and partners in this project: Adobe, CETL, UConn CIO, CUWI, DMAC, ECE, the English Department, GEOC, Regional Campus programs, and Steelcase Education. UConn FYW consulted with: Clemson, UMASS, Louisville, Michigan State, UNC-Chapel Hill, Stanford, Ohio State University, Syracuse, and NC State University.